CC Sabathia continued his late-career renaissance with seven sparkling innings and Gary Sanchez launched a mammoth home run, leading the Yankees to their ninth consecutive victory, a 2-1 decision over the Angels on Sunday evening at Angel Stadium. Sabathia’s newfound penchant for generating soft contact served him well against the Halos’ lineup, which managed one run on five hits against the veteran left-hander as he reduced his ERA to 1.71. 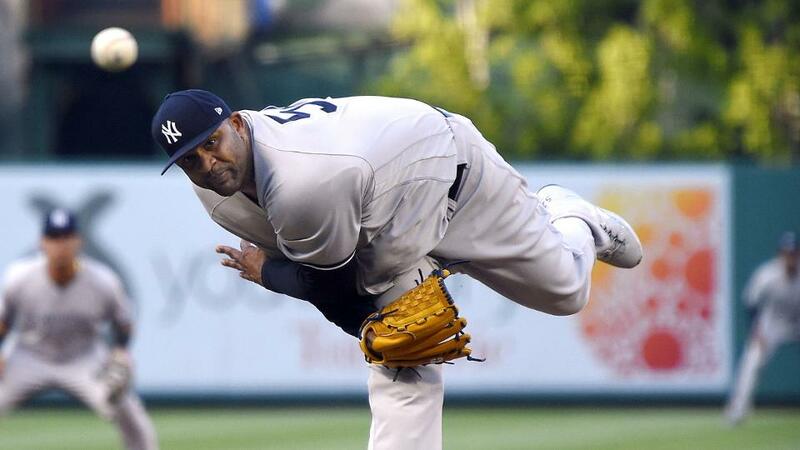 It is the only earned run that Sabathia has permitted in 17 1/3 innings since returning from the disabled list on April 19. Seeking their first nine-game winning streak since June 8-18, 2012, Sanchez opened the scoring in the fourth inning with a two-run blast to left field off Angels starter Tyler Skaggs, clearing the bullpens with a drive that was calculated by Statcast™ to have traveled 447 feet.